Renault Logan Fault Codes list. How to decipher the error codes at Renault? If your car is equipped with an on-board computer, then you can read the fault codes to find out what is the cause of the incorrect operation of the car. In this case, you will need to decode the codes that appear during the error diagnosis. Today you will learn how to decode fault codes Renault Logan, what they are and how the car is diagnosed. Trip to the service station. Experts will conduct diagnostics with the help of equipment, in particular - the scanner and will provide you with error codes present in the system of your car. Diagnosis by computer. To do this, you will need a special scanner. The procedure is not cheap and is more suitable for those who like to "dig" in technology. New on-board computer. In case you do not like the native BC installed in the factory. You can buy more functional, which will notify you not only about errors, but even about fuel consumption. Connect the smartphone to the on-board computer. With a functional phone, you can connect it to the OBD-2 connector and decode the codes directly from your gadget. To do this, you need a Bluetooth adapter. Let's consider the process of Renault Logan diagnostics using the example of the ELM327 adapter. 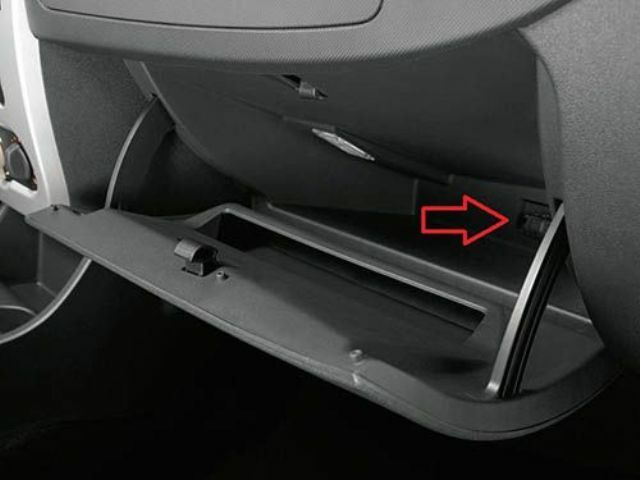 First, find the diagnostic OBD connector, which is in the glove compartment of the car on the right side. Then insert the purchased adapter into the diagnostic socket and put your mobile device next to it. By the way, you can use not only the phone, but also a tablet computer. Download in advance and install the necessary software on it. Depending on the phone model, the name of the programs may differ. In practice, most domestic motorists perform diagnostics of their Renault with the help of the Torque program. It can be easily found and downloaded on the Internet without any problems. Turn the key in the ignition and start your car. Then turn on the Bluetooth function on your phone and run the software that you decided to use for diagnosis. Wait a few minutes for your phone to synchronize with the adapter that you inserted into the diagnostic socket. When the utility connects to the ELM327, the parameters of the motor of your car will be displayed on the phone screen. 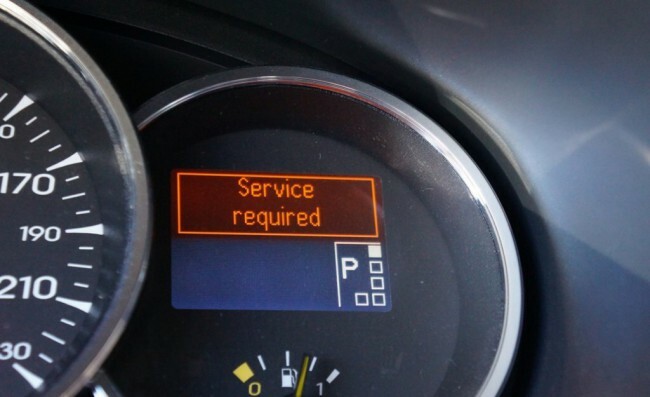 To understand why on the dashboard auto lights Check Engine light, go to the appropriate section in the program window. Then the utility will start to read the combination of faults from the on-board computer memory. 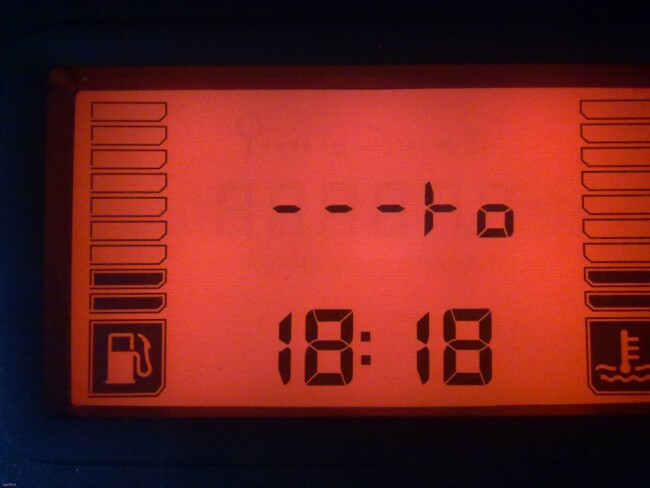 If the software has fixed at least one breakdown, a combination of letters and numbers with decoding is displayed on the mobile phone screen. Only by deciphering the code, you will be able to replace the non-working component. U - means detection of breakage in the operation of electronic systems. the fourth and fifth positions indicate the serial number of the malfunction. Next, consider the most common combinations of errors encountered during the diagnosis of Renault cars. P3500 This combination means that there is a malfunction in the electrical circuit of the electronic immobilizer system. In the case of hacking the machine, the engine will not be blocked. P3501 The connection with the climate system is reportedly broken. The wiring should be checked more carefully. P3502 The on-board computer reports a break or short circuit in the communication circuit with the cruise control system. P3503 This combination means a loss of communication between the control unit and the ABS unit. To restore the signal, check the lead wires from the ABS unit to the computer. If you previously soldered the wires in this section of the wiring, then first of all, attention should be paid to them. P3504 The control unit informs the car owner of any faults in the wiring or communication failure with the refrigerant pressure monitor. In this case, incorrect information can be displayed on the instrument panel screen. P3505 The control unit fixes the communication error with the fuel system. Check the wires for breaks and shorts. If you know that there are soldered sections in the wiring, then first of all they should take time. P3508, P3509 The control unit has detected a loss of communication with the ignition coil of the first and fourth or second and third cylinders. P3511 This error code indicates that there is a short to ground in the fuse links of the actuator elements. P3515 This combination means fixing a malfunction to the purge circuit of the adsorber purge valve. In particular, the chain can be closed or in it there was a breakage. It should be more carefully checked the wiring in this area. P3520 If this combination of symbols appears during the diagnosis, it means that the control unit notifies that an interruption or short circuit has occurred in the wiring of the antifreeze emergency temperature lamp. P3522 A short circuit has occurred in the wiring of the idling control device. It is necessary to check the circuit or replace the sensor. 3500 An open or short circuit occurred in the wiring of the immobilizer system. Immediately it should be noted that this material provides an incomplete list of combinations of codes that you can see during the diagnosis. We consider only those that are most often encountered in the verification of Reno. In addition, with the release of new models of the French manufacturer, the number of codes and, accordingly, the errors are constantly replenished. On-board computer Renault reports a too high or low voltage, flow with fuel injector. This combination is particularly characteristic for models and Premium 420 dci. You need to check the injector circuit or replace the item. One of these combinations mean circuit or the injector chain breakage in one of four cylinders. You need to check the circuit or to replace one of the injectors is that out of order. Such mistakes are common for cars Renault Logan and Megan. Control unit notifies the owner of too high or low voltage fuse fuel pump. First of all you should check the chain, however, you may need to replace the fuel pump directly. One of these combinations indicates the emergence of gaps in the ignition. In particular, we are talking about one of the four cylinders. 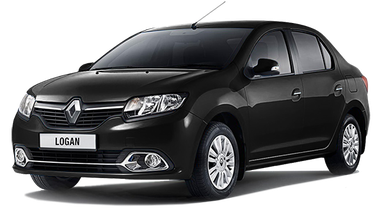 Particularly often these errors occur during Diagnostics of cars Renault Logan and Megan. To fix the code, you must verify that the engine cylinders. 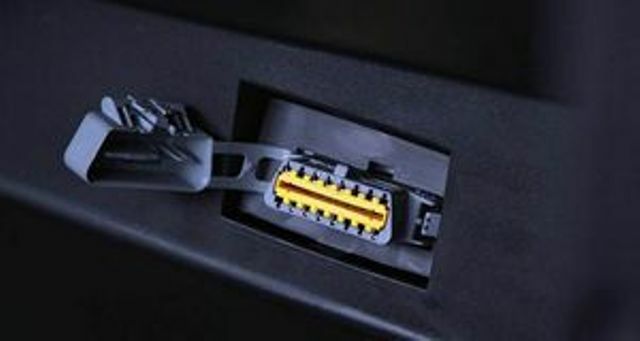 The vehicle's onboard computer alerts the motorist on incorrect electronic control unit should test the unit and, if necessary, replace the element. This error code means failure of the control unit. A more thorough diagnosis here won't help: on-board computer revealed faulty unit, so the only solution is to replace it. Control Unit reports on the failure of the immobilizer. If there is a possibility, you can repair the component, however, is likely to have to do the replacement. With the first power sensor to the computer enters an incorrect signal: it can be both too low and too high. Control unit for locked faults in the electronic control unit, in particular, recorded too high or low signal. Need to check the wiring for breaks and circuits or replace unit. Wrong signal with the power fuse. In particular, it shuts down very early or late. Immobilizer device enters an incorrect signal: you must check out jelektrocep. With pressure control devices to guide the unit enters an incorrect signal. First check the wiring for breakages or closures. If neither those nor the other not identified, you need to replace the sensor. This combination is characteristic for car models Logan and Megan. failure of a nozzle of the first cylinder. Diagnosis should be made the wiring for breaks and circuits or replace nozzle. failure of the nozzles of the second cylinder. It is necessary to make the diagnosis circuits for breakages and circuit or replace the nozzle. Similarly for the Jets the third cylinder. Check the wiring or replace the component. Similarly for the Jets fourth cylinder. You should check the circuits or replacing jets fourth cylinder. The electronic control unit of the car fixed random skipping in the ignition system. In particular, we are not talking about a specific cylinder and on several simultaneously.You should test your cylinders. The electronic control unit registered a misfiring in one of four cylinders. Depending on the resulting code diagnostics test cylinders and, if necessary, to replace them. Failed internal control module. Particularly characteristic of this combination for models Logan and Megan. Also sometimes found in heavy-duty truck Renault premium model. Need to replace a failed element for the correct operation of the car. Oxygen sensor fixed too poor or very rich combustible mixture in the first block. How do I reset the fault codes? This question was asked, probably, every car owner Renault, who made the diagnosis of the car on his own. If you have decoded the DTC and replaced the failed item, you will need to reset the error in the on-board computer memory. This is done because even when the fault is eliminated, the error still remains in the memory. So, with the subsequent diagnosis of auto it can again appear. Therefore, it must be erased from memory. To do this, open the hood and disconnect the terminals from the battery. Please note that the car ignition must be switched off. Wait 10 seconds and replace the battery terminals. So you erased the error code from the on-board computer memory.